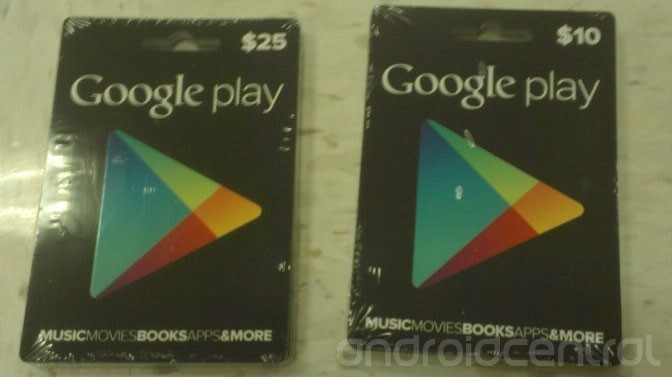 Android fans have been clamoring for Google Play (née Android Market) gift cards for years now, and it seems that the wait is nearly over. 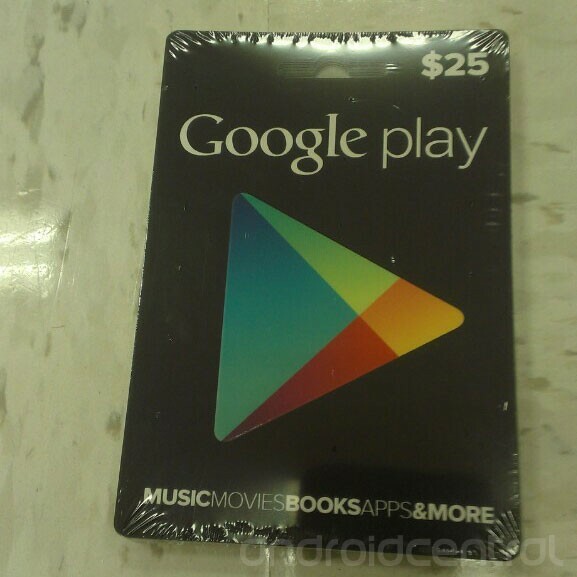 Less than a day after the folks at AndroidPolice discovered that the Google Play Android app was quietly updated with support for gift cards, AndroidCentral has come across the first images of those cards in the wild. There’s really not much to say about the cards themselves: they come in $10 and $25 denominations (with larger ones sure to come at some point) and have a big ol’ Google Play logo on them. What’s more of a surprise at this point is why exactly Google took so long to make these gift cards a reality — not everyone wants to keep a credit card on file, after all. I’d wager that the company’s recent foray into the hardware space with the Nexus 7 has something to do with it. It’s no big secret that Google is selling the Nexus 7 at cost, and pushing Google Play sales is going to be a critical component in making sure the company gets its money’s worth out of the project. The timing seems perfect too. As the holiday season draws ever closer, you’d better believe that a thoughtfully-designed tablet with a solid spec sheet and a low price tag is going to be a hot seller. People were going to buy Nexus 7s anyway, and oh look, now there’s a nice way to get those tablet users started in the Play Store too. Gift card availability could mean especially big things when it comes to the younger set. Kids and teenagers who wanted to buy hot new apps and books have never really had a mechanism to do so, short of begging their parents for their credit cards. 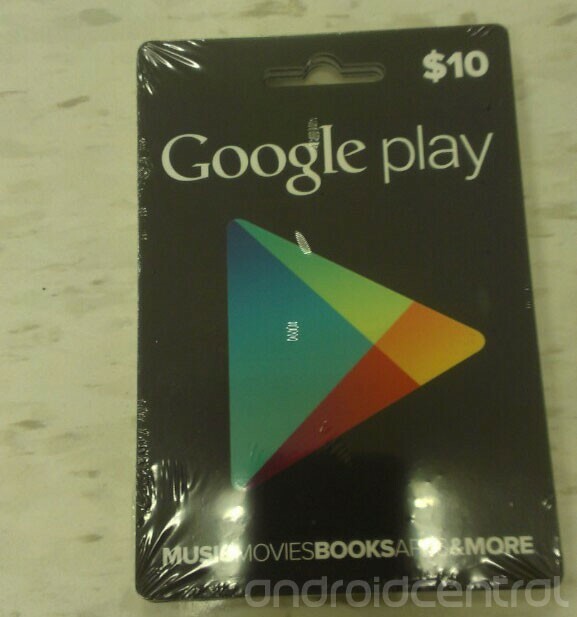 Once these gift cards hit stores, there’s nothing stopping kids from scrimping allowances together so they can download Angry Birds 12: Dead Reckoning, and effectively give Google (and Android developers) revenue they might not have gotten otherwise. AndroidCentral’s source didn’t mention exactly where the photo was taken, which leaves plenty of possibilities open. A distribution center? The back room of a big-box retailer? There’s also no information on when these things will start trickling out into the public, but the way the cards are stacked and shrink-wrapped makes it look like they’re ready to be cracked open and stuck on peg hooks. Keep your eyes peeled, folks.